It’s time once again for the Wiwi Jury! This year, our in-house panel of music unprofessionals will listen to, rate and review all 41 songs competing in the Eurovision Song Contest 2019. We starting off in Ireland, where the jury is taking a look at Sarah McTernan and her song “22”. Will 22 be Ireland’s lucky number? Read on to find out! Renske: Girl has come to pop. This is quirky, cheeky and girly. At the first listen, I wasn’t hooked on it, but after listening to all the songs in one afternoon once, this was the one stuck in my head and it has become one of my favourites since then. It’s a fresh breeze from all the male ballads in the competition. Besides, I can totally see what Michael Kealy meant when he said that RTÉ chose Sarah McTernan above all other auditionees because of her charisma, she makes this song! Angus: Ireland’s entry is an entirely inoffensive slice of radio-ready pop music. And in some years, that works out well for Ireland: it offers a breath of fresh air and a moment of calm amidst a raging storm of ballads, divas and more. Unfortunately “22” feels a little bit too inoffensive. It is light, breezy and bubbly but it also fails to latch onto the memory receptors in the brain. Sarah has bags of personality, warmth and the voice to get the job done, but it feels like she’s had a hand tied behind her back by a subpar song. Staging may elevate the song, as happened last year, but for now the outlook is not great. Antony: Ireland’s entry presents a sweet and bubbly song that is pleasant to listen to. However, there is not much within the music that is gripping enough for it to be memorable. The strongest asset to this song is Sarah’s charisma, which cuts through. I am interested to see whether the staging at the contest, together with the charisma could elevate the song. Chris: “22” is lovely, bubblegum pop music. Unfortunately, “lovely” and “bubblegum” aren’t phrases that tend to result in “spot in the grand final”. Whilst it’s really easy to like “22” and Sarah in particular, it’s hard to see anyone really loving this track. It’s a textbook example of settling for being someone’s 4th or 5th favourite song — which, at least with televoters, is unlikely to be enough to carry Ireland to the final. Florian: What I appreciate about this act is the fact that Ireland goes down the singer-songwriter road. While it might not be quite enough to stand out, the song itself is nothing to be ashamed about by any means. Is it enough, however, to bring Ireland back to its glory days? Probably not, however good staging could once again work in their favour. Josh: This is a feel-good pop ballad that attempts to pull your heart strings. It makes you feel nostalgic remembering your first heartbreak. We’ve all been there, and then we second-guess everything we said and did, and we wish we could turn back time and relive fond memories. We relate to the story Sarah is telling, and it’s believable – however, the song never evolves beyond the feel-good cuteness it starts with. A song needs more than just a certain cute factor to really stand out and make a splash. We have removed the highest and lowest scores prior to calculating the average. This is to remove outliers and potential bias. We have removed a low of 3 and a high of 8.5. What do you think of this song? Share your own score and review below! NO NO NO NO! Amazing talented artist with incredible voice….. But the song? HELL NO! I said this before in a video but this is the song you listen to at 5pm on the way home. Unfortunately this is just not Eurovision competitive and I feel the Eurovision stage is not the appropriate place to showcase this song. Ryan Shaughnessy qualified last year because he and his team were able to sell the performance on stage much better than they did in the music video. Sarah’s song and video do not sound or look like something she can sell on stage. Given my first evaluation of all 41 entries, I don’t see any chance of her qualifying, unless they can come up with something incredibly surprising for the stage. it no worse than any of other songs to be honest. this song tells a story- now how many of the other songs do this? a story that actually make sense..
Ireland did understated last year and it worked. This one…I skip when it comes on. I’d like to say something bad about it but there’s not much to say, really. It’s just *there* for me. I think it can do very well if its staging sells the song well and the juries give this song a chance. Same way they did for Germany’s ByeAlex in 2013. I like the song tbh , and it’s got a good vibe and good vocals. A 7.5/10 for me. Being in semi 2 where diaspora will decide the lower qualifiers , 1.5 point deducted for lack of it and 2 deducted for pathetic running order, giving it a 40% shot at qualifying. I can’t stop singing this song. When I first heard it I didn’t think much about it and didn’t care for it. However, it’s grown on me. It may be a simple “bubblegum-pop” song, but it’s well made and I find myself listening to this over songs like Arcade, Soldi or She got me. Could not agree more! Looking forward for your reviews! Thank you. I hope you’ll enjoy them. So cool to be doing this again! I am looking forward to your reviews, Sabrina. 🙂 Always a delight. I will post mine tomorrow morning, because I still have a tiny uncertainty and the experience has shown that I have more clarity in the morning. Still, I have to say that my review is pretty close to yours. Thank you, Colin, you’re very kind. 🙂 Since I’ll be busy the next few weeks, I already wrote most of my reviews, but I haven’t attributed them grades yet. I hope Robyn hold the few I haven’t written yet until the end of the month! 😛 I guess almost everybody has a similar opinion about Ireland’s entry. The funny thing is that even between those who share our views about it there are differences about its ratings and positions. It landed in the early 30s in my ranking. Which shows that I’m satisfied with the lineup pf the contest. I feel this has all been done in a hurry, it’s a cute song but it doesn’t suit the singer, and the video looks very cheap. Maybe the rumours about a big name going for Ireland were true, but the big name cancelled at the last minute and they had to come up with an alternative. Against all the odds, Sarah will eventually prove everybody wrong! like ryan did last year! I really enjoy this song, but it’s not competitive at all. I just can’t see it do well in the contest, even though if the staging will be really good. But I like the song and it’s cool to have in the contest. But I kind of hoped Ireland would’ve come even stronger after last year’s success. Other than that this song has grown on me a lot. It depends what you mean by “competitive”. 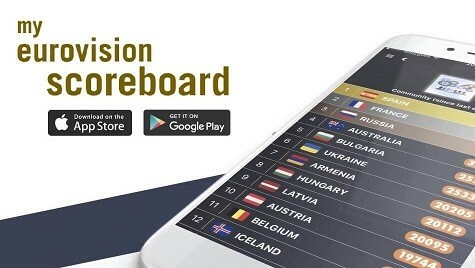 Are Macedonia, Belarus, Israel, Finland, Latvia, Lithuania, Serbia, San Marino, Austria etc competitive? You could argue that half the entries in a given year are not competitive (ie. little chance of a top 5 finish). I’m not sure why ’22’ is being singled out in reviews for this word…….you could apply it to a whole load of this year’s songs. Yeah , only 15 songs this year are competitive . 6 are entirely non-competitive. 5 meh ones are in the grand final already . 15 others are fighting for filler spots in the Grand final. Last years entry was a disaster pushed into the final by fenomenal staging. They might get it just right this year, but I doubt it. Other than this having close to no chance in the super strong semi- final 2, I absolutely love this for it’s laid-back vibe served by Sarah’s amazing vocals. However this isn’t even in my qualifier lost in SF 2 which shows how strong that semi is, and spot 02 is really not going to help it. Why a disaster? I loved the song. I do believe the staging helped but it was a great song. For me it was a disaster in every sence of the word, it was really boring to me. Oh I agree with you Whisker. I’ve been watching ESC for 20 years now, ever since I was a little kid really, and it’s rare for me to get goosebumps yet Ireland last year managed to give me just that. It was quite a simple song, not too outstanding, but there was something magical and genuine about it. A well deserved qualifier in my opinion. A meh song. The only hope is to come up with a creative staging. I totally get that people say the song is not ‘competitive’ and not a stand out but you could make that point about half the entries every year. There’s plenty of room for variety in the Contest and not every song is going all out for the win. I could easily imagine it in the final, providing the staging is good and we already know Sarah is a charismatic performer. It’s definitely not a no hoper. As many people has already pointed out. This isn’t a bad song. The problem is that it isn’t a good song either. “22” is pleasant to listen to with its mellow retro-vibe and Sarah’s voice fits it very well, but the song is totally unpretentious and quite flat. Still, it has been growing on me since the first time I listened to it and it turned out to become number 16 on my personal list. However, I am afraid that Ireland’s chances of qualifying is rather low. Eh, it’s not the best or most original song I’ve ever heard, but it’s quite pleasant and does not reek of sweat. I hope for the best. Although Ireland is not high in my ranking this year, I do enjoy listening 22. I would never skip it if it comes on my Spotify. I met Sarah last Saturday and she was so sweet! Cute song but it is not really my cup of tea. I wish they would do well but theyre also in the death slot. Wish them the best but not my cup of tea in the long run. I like this song. I play it on Spotify every day. It’s not in my Top 10, but I’m hoping it qualifies. Not a fan at first at all but now I like it and found myself singing it in my head a few times a day these last days. She’s in my top 10 but i doubt she’ll qualify. However, I love the song: such a lighthearted, cute song. Sometimes that’s all it takes. Just get 2 lesbian dancers on stage dressed as 22s and Ireland will be the 2nd favourite before the final! This song is insanely catchy! Hopefully they stage it well. I feel the juries will put it top 10 but the televote might kill it 🙁 Shame cause it was great to see Ireland back in the final last year but I wish them the best and hope she makes it! I feel it has more chances with the televote rather than the juries. This song is going nowhere at Eurovision. Along with Moldova and Latvia, the most forgettable song this year. I’d give this a 6.5/10. It’s a nice song to have on in the background, but it misses the ‘wow’ factor. Pretty woman with pretty hair is what I take from the music video. With audio only, I would not even have noticed that there was a song playing for three minutes. Decent score and accurate comments! Thanks Team Wiwi, fingers crossed for a decent result in Tel Aviv! I know I’m in the minority when I say this but I absolutely love this song for some reason. It’s lyrics are super cute, the beat is infectious, and Sarah sells it fantastically. This is probably one of my favorite Irish entries this decade, and while I don’t have high hopes for this qualifying, I am quite enjoying the path Ireland is currently going down in Eurovision (despite none of their songs being winning potential). This is my 4th favorite this year 🙂 I wish Sarah and Ireland all the best this year! !